Built on a decade of successful research and development led by FutureDairy, as well as the experience of almost 50 commercial farms around Australia who have decided to invest in the technology, the project will enable better decision-making around the consideration, purchase and implementation of AMS. The Project Leader, Dr Nicolas Lyons, Development Officer Dairy with NSW DPI, commented that “it is great to see NSW DPI leading the delivery of a national collaborative industry-funded project aiming to accelerate the uptake of technology as an enabler to build a productive and sustainable dairy industry into the future”. Dr Lyons will be working together with Mrs Jessica Bell, Project Officer Dairy – Robotic Milking at NSW DPI and Mr Juan Gargiulo, a postgraduate student based at University of Sydney who is supported by NSW DPI and the Dairy Research Foundation. Peter Johnson from Dairy Australia believes that “The new project is an exciting step forward and builds on farmer requests for more information and support when implementing new technologies. The project draws on an extensive base of research knowledge and will make this information more easily accessible to support decisions on the purchase and use of AMS”. Ken Ward from DeLaval mentioned that “DeLaval is proud to continue its relationship with both Dairy Australia and the NSW Department of Primary Industries after many years of being actively involved in the FutureDairy Project. As a company, we are very much focused on the adoption of new technologies that provide real tangible benefits to the dairy farmers of Australia. A big part of reaping these benefits is establishing a knowledge base to work from and the sharing of experiences to date. We clearly see that this project will assist dairy farmers in making the right decisions to meet their own goals”. A modern online community of practice to collaborate and communicate on all things robotic. 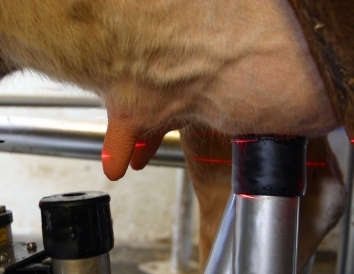 Interested in learning more about robotic milking including how can we help you? Get in touch!